- This is our DiamondX catalog that is easy to send to or leave with your industrial clients and prospects. - Learn why the bond matrix in diamond blade cutting segments needs to inversely match the material being cut. - It's here and in stock, the DiamondX Cutter. Review the video to see why it is a game changer. - Many DiamondX blades come with a 5/8-11 threaded mounting hub installed. Removing the hub allow you to use the 7/8 arbor hole for tool mounting. The Hard Facing wheel is also reversible requiring removal and re-installation. Instructions are here. - Here's a one minute video with 2 important tips for DiamondX users. NOTE: plays best on a PC. - Video training on DiamondX technology and tool usage tips. - An 16 page PDF manual for Edmar diamond products. Learn the basics about diamond blades plus how to select the right blade for your customer's application. 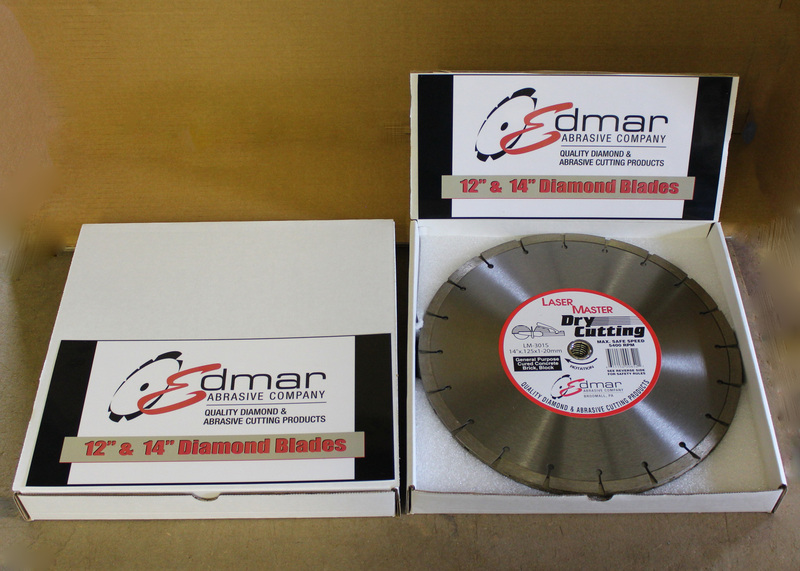 - Review the basics on Edmar diamond blade construction plus how and why they cut. Learn how to select the right blade for your customer's applications. - 10 page pdf discusses the advantages of the DiamondX cutting and grinding tools, best selling specs and a review of the available DiamondX Savings Worksheet.